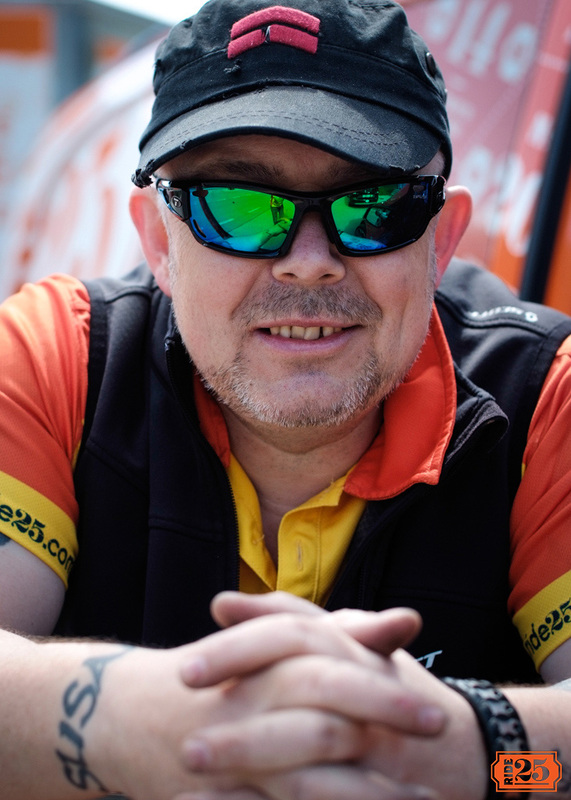 As part of the Ride25 Crew and a professional bike fitter for Cyclometrics and member of the International Bike Fitting Institute, Paul ‘Smudge’ Smith covers some of the common issues affecting Ride25 riders on multi day adventures. I have been a member of the Ride25 team for over a year now, looking after cyclists on multi-day cycling adventures. 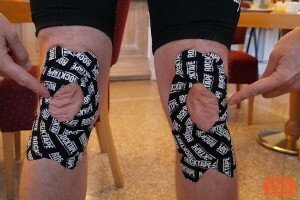 During these trips a good number of clients suffer with various aches, pains and niggles. Now some of this can be attributed to the 3 F’s: Fitness, Fatigue and Freshness. But some can also be attributed to the Bike Fit itself. Now I’m not going to bang on about the importance of bike fit as there are hundreds if not thousands of great articles detailing everything from cleat set up to hand position to equipment choice. The first thing to understand is that all of us have some degree of asymmetry yet most cycles do not. So our asymmetry needs to be accommodated on the bike and thats why bike fitting is important. So as you can see there are a whole host of criminals that can cause the knee crime. But all of the above can be adjusted, moved, released in some way shape or form to accommodate and prevent the dreaded knee pain. Following close behind knee pain is the lower back and again there are a whole host of articles, medical journals and books on the subject. Prior to embarking on a Ride25 cycling adventure you have probably spent long periods of time behind a desk, workstation or using handheld devices, this in turn leads to postural problems and compensatory biomechanics. Ideally when cycling your back will be in neutral but with multi day adventure this often isn’t possible. During multi day rides the key point is that the bike can be adjusted to suit you, so if lower back pain presents itself don’t be afraid to adjust the saddle forward to rotate the pelvis, don’t be afraid to lift the handle bars up un the stem, and as a member of the Ride25 team I carry a selection of stems to adjust your position accordingly as more often than not the lower back will not be used to 3-4 days in the saddle averaging 80miles a day over variable terrain. hood position. Road bars are designed so the cyclist can change position frequently to reduce pressure on the Ulnar nerve which runs from the little finger through the elbow and up into the upper arm. Its an exposed nerve meaning its fairly easy to compress or damage. Change hand positions frequently and assess where your weight is being carried as small shifts in your centre of gravity balance can greatly reduce hand pressure. These are a few of the more common aches and pains seen on the rides. There are of course a whole lot more that can appear during the trip but the key to dealing with all of these is Get Your Bike Fitted and don’t be afraid to adjust to allow for Fitness, Freshness and Fatigue. Final thought, make sure you record your position before packing the bike in a box.